CB2 offers affordable modern furniture and housewares for your apartment, loft, or home. 0% cash back for Gift Cards and e-Gift Cards. 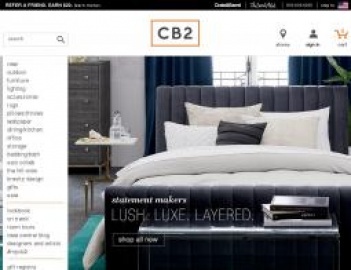 Click a Coupon or click Start Shopping to earn 1.5% Cash Back at CB2.